We recently hit a big milestone here at Loaded Trolley by adding our 1000th item on to the Price List! 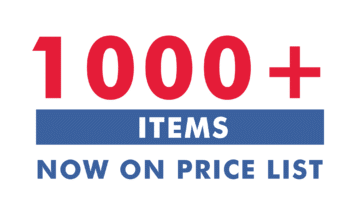 Loaded Trolley continues to have the largest independent price list of items at Costco Australia in the world to help you make the best purchasing decisions for you and your family. We will continue to grow the price list every month so stay tuned! One Response to We Hit Over 1000 Items On the Price List!